So for my new series of adventure travel itineraries, I’m starting with things to do in Sucre, Bolivia. My adopted home town and the capital of the country, this beautiful and relaxed city is brimming with adventure possibilities, ranging from trips to barely-visited rural villages, to trekking through ancient, otherworldly landscapes. As someone whose main motivation is to show unique ways of travelling adventurously, I’ll soon be I runing you through volunteering options in Sucre and how volunteering in Bolivia is a distinctive and unusual way of travelling in South America. If you’re contemplating backpacking in this country (and you’re a lady), it’s also worth checking out this post about solo feemale travel in Bolivia. This elegant colonial city is situated in the southern highlands of the country – or the Cordillera de los Frailes to be exact. Around 14 hours by bus or 30 minutes on the plane from La Paz, it receives its fair share of visitors and I encountered a huge number of travellers who’d got waylaid here for a few weeks, captivated by its unusual charm and surprisingly un-Bolivian array of cosy cafes and decent restaurants and bars. Why should you visit Sucre? Numerous language schools have popped up across the city to capitalise on Sucre’s reputation as a comfortable halfway house between the frenetic, high-altitude energy of La Paz and the sparse, barely visited nothingness of the rest of the county. As a result, most travellers come here to study Spanish. For me, this is definitely Bolivia’s most comfortable city to spend some time in and it was an enjoyable place to live in for seven months. But while language learning is what brings most foreigners to The White City, it’s actually one of few in all of Bolivia where you’ll find English speakers. Surprisingly enough, studying here isn’t actually ideal if you’re really serious about picking up the language. Instead, La Paz or even unknown but lively Cochabamba are better options if your ultimate goal is Spanish fluency. But if you’re less serious about learning the lingo and more interested in doing so while exploring the area’s vast range of adventure possibilities or just enjoying how strangely European it feels (when compared with the rest of Bolivia that is) then you’ll most likely enjoy being here. For me, seven months was far too long to stay in such a small city and if you’re feeling adventurous, I would strongly recommend studying Spanish elsewhere. That said, Sucre is a great city to spend a few weeks travelling or even a few months volunteering. As a very small city, you’ll find yourself spending far too much in Condor Café or drinking in Florins, meeting plenty of other international travellers and locals and discovering the wealth of things to do in Sucre. 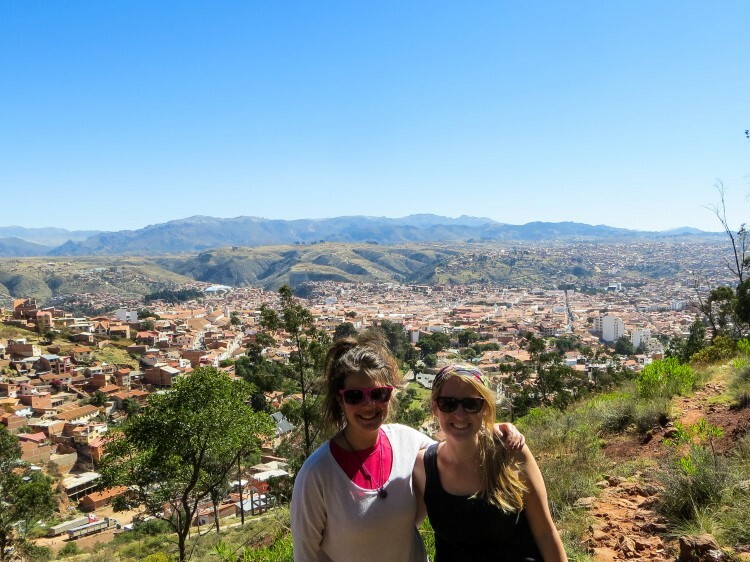 What adventurous things to do in Sucre, Bolivia are there? 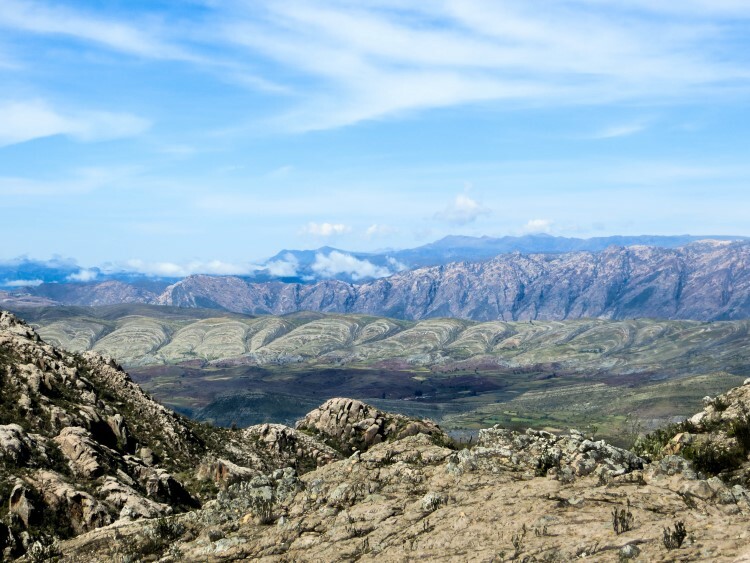 The rolling landscape of the Andes is the first clue towards the main things to do in Sucre, Bolivia. Here, you’ll find treks through a surreal selection of ancient landmarks, hidden accommodation set in remote places and tiny villages of dusty streets – all coupled with the feeling that you’ve somehow stepped back in time. Trekking in Bolivia is certainly not as popular as in many other South American countries, particularly because paths are normally difficult to find. However, taking a guide or using my articles about trekking routes in Bolivia is the key to a very unique foray into this county’s wild and mostly inaccessible countryside. 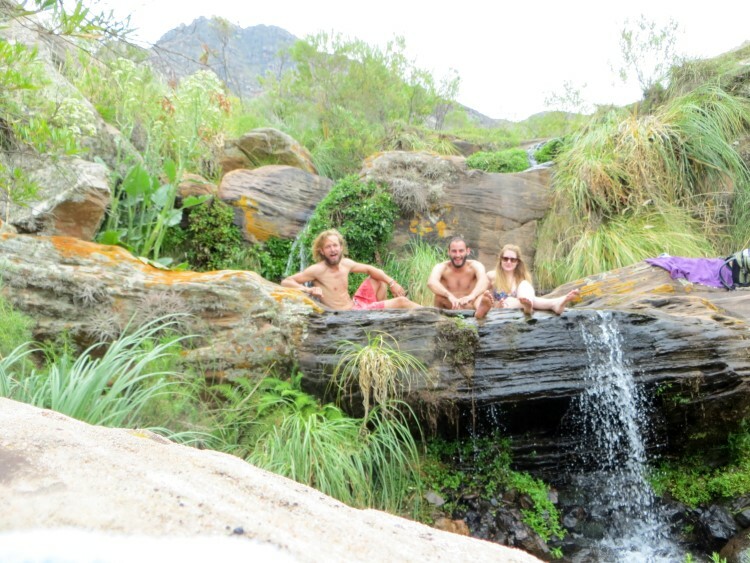 What’s more, adventure travel in Sucre is possible by signing yourself up with one the grassroots social organisations established in the city who are always looking for volunteers. I’ll be discussing these in the next post in the series. I’ll admit in my whole seven months of living in Sucre I never once went to Las Siete Cascadas. I’d heard mixed reviews; the rubbish that I’d been told now coated the path leading up to the falls and had even dirtied the water there had left me less than inclined to bother. I’d also heard of a few people having accidents there, which, as someone who is decidedly accident-prone, being in the middle of nowhere with another head injury didn’t sound like my idea of fun. However, if you’re stuck for a few days, they’re easy enough to visit and while supporting a local agency such as Condor Trekkers by taking one of their tours is advisable purely for ethical and responsible travel purposes (and the fact that their vegetarian food is simple delicious), you can still go alone. 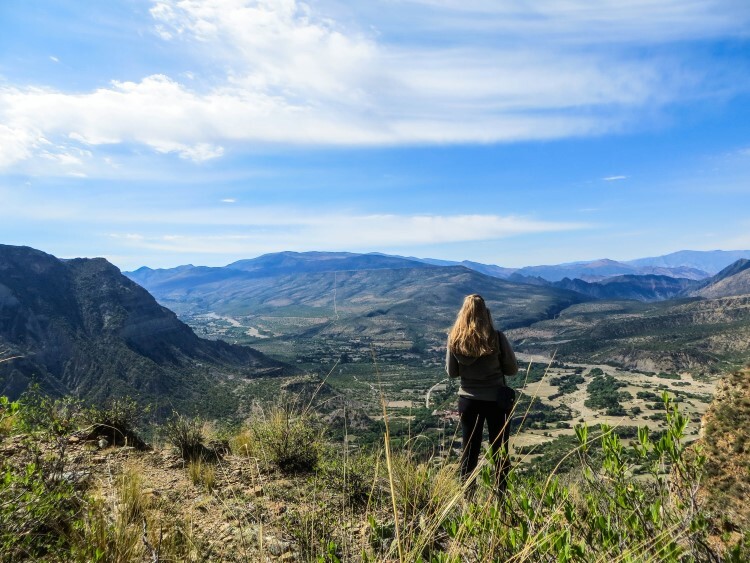 For most tourists, this is top of their list of things to do in Sucre – although I would certainly argue that there are more interesting hikes in Sucre that you can find. How to get there: Take the ‘Q’ collectivo (bus) from Calle Junin outside of the Mercado Central. Get off at the final bus stop called Alegria and continue in the same direction as the bus was headed until you reach a set of houses. Here, turn right and go down a hill until you reach the bed of the river from where you need to hike upstream for 45 minutes. By continuing along the road until you reach a bridge. Out of rainy season (December-April), you should be able to walk upstream along the riverbank. Just be aware that you’re forced to clamber over rocks and this is where I’ve heard of a handful of people receiving stupid, if relatively minor, injuries. Cross the bridge to continue along the road until you hit a small path forking left and take this up to the waterfalls. Hiking length: Around 45 minutes to an hour to the first waterfall. Food and water as once you get off the bus you are unlikely to find any shops. The Maragua Crater definitely ranks as one of my favourite Bolivian trekking destinations. The route has spectacular panoramic views of the strange, multi-coloured swirling rocks of the crater, a stretch of fossilised dinosaur footprints, 2,000-year-old cave paintings and a section of well-preserved Inca trail – although how much you see of all this does depend on which path you choose. I’ve previously written about how you can walk to the Maragua Crater from the Virgen de Chataquila, via the cave paintings at Incamachay and Pumamachay and the dinosaur footprints at Niñu Mayu, before ending in Potolo. Along the route, you pass the village of Maragua itself, where you’ll find a small hospedaje (very basic hostel-style accommodation) which is impossible to be book ahead of time but it’s unlikely you’ll find it full – just ask at one of the shops to speak to the señor who runs the accommodation and who’ll charge a small fee for you to stay (cooking facilities and a working toilet are included). By following the river that cuts through the village you’ll arrive at the Garganta de Diablo, at times a crashing waterfall (depending on in which season you visit) and you can also see and buy the strikingly coloured traditional weavings of the local women. Again, ask in one of the two shops or speak to any one you meet in the village as they’ll be able to point you in the right direction. 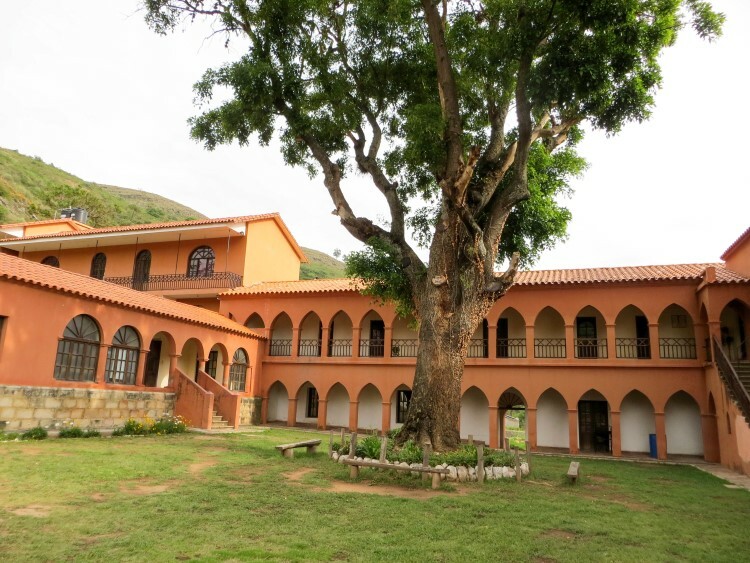 There’s also a village school and library run by US-founded NGO, Biblioworks which is where I spent a few weeks volunteering during my seven months in Sucre. If you want to learn more about this tiny school and living in one of the most remote parts of Bolivia then read my article about volunteering in Maragua. Hiking length: The trek including the cave paintings takes roughly three days and a night in Potolo (there are community-run cabañas which are clean and cheap) before taking the trufi (small minibus) or riding in the back of a truck back to Sucre in the morning from the main plaza. 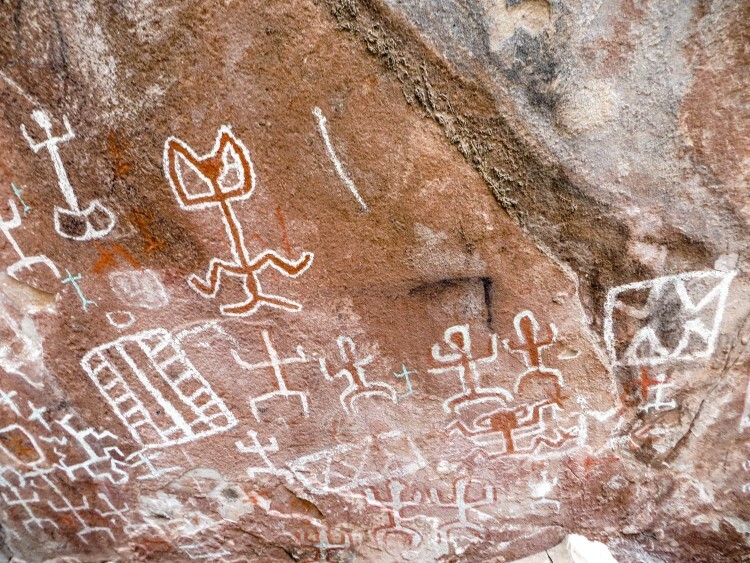 Hiking down the Inca trail and missing the cave paintings is generally a two-day trek. 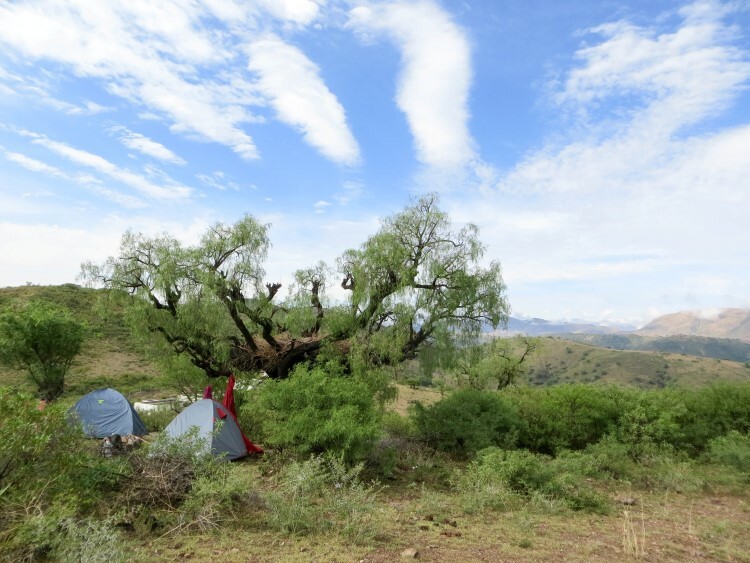 You will need a tent for the main hike if visiting the cave paintings (read my review of what I consider the best backpacking tent for camping in South America). Accommodation is available in Maragua and Potolo. Food for four days is necessary, although a number of small shops in the tiny villages along the river after the cave paintings, in Maragua and in Potolo do sell water (at a very expensive price) and biscuits and tinned food. There is a stream but during dry season (between April and November) there may be little water. It’s also worth being careful about drinking directly from watercourses as they can often be polluted. Difficulty: The hike is not particularly strenuous, although finding the initial path to take towards the cave paintings from the main road is not easy and we later lost the path completely when we were descending into the valley away from them. We also struggled to find the path leading to the dinosaur footprints at Niñu Mayu the morning after leaving Maragua. This hike is possible, it’s just worth consulting local people who may have information before you attempt it. The Maps.me app (check out my other recommended (free!) apps specifically for adventure travel in South America) actually has the route to the paintings marked on it, so going with GPS is an option. Condor Trekkers, who are one of the best adventure tour companies in Sucre and who give all their profits directly to the local villages through which their tours pass, also offer a four-day tour to the paintings, the Maragua Crater and Niñu Mayu. Few people have ever even heard of Cajamarca and even fewer have visited. An area of reforestation about 30 km outside of Sucre, it offers another completely distinctive landscape from Maragua and the Siete Cascadas, particularly as verdant forest is in short supply in the Bolivian Andes. Visiting on the recommendation of a friend’s Spanish teacher, I was enamoured with the green landscapes that contrast with the sparse, dry mountains that surround Sucre. 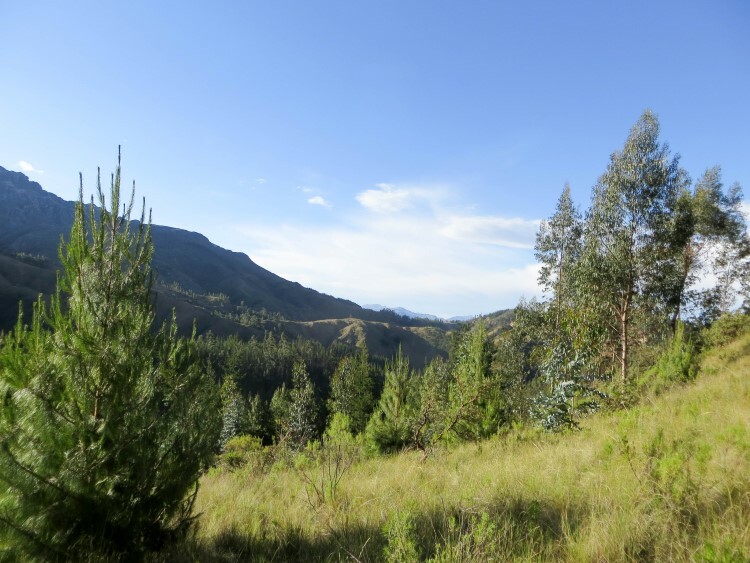 In terms of things to do from these lodgings in Cajamarca, a number of trails pass through the forest and meadows that now cover the area. It’s worth getting hold of some instructions before arriving (again, speak to people in Sucre) as the hand-drawn map of paths that you can find at the centre isn’t particularly helpful and Maps.me doesn’t mark any. We walked up to a nearby mirador which was beautiful. How to get there: Take a bus from Sucre to Potolo and get off at the crossroads to Punilla. Make sure you download Maps.me (free and can be used off-line) as the location of the Centro Ecologico Juvenil is clearly marked. On Google Maps it is indicated by the name “Cajamarca”. Hiking Length: From Punilla, it took around 1.5 hours to walk to the centre. The path is fairly level but does ascend gently. Food and water for your trip as there are no shops in the area. Difficulty: It’s not hard to get there, but there’s no guarantee that you’ll find anyone to receive you. It’s worth contacting ahead of time by visiting their website as the woman was surprised by our arrival and we were lucky that she was there and able to accommodate us. The paths that are “helpfully” documented on a hand drawn sign are not the easiest to follow and we never found the cave paintings that they mentioned (in fact, I wonder if they’re actually those that you can visit at Incamachay and Pumamachay but I have literally no idea where the path is that takes you all the way across the mountain). Set in the south of Sucre, tourists only normally make it to Yotala for the Santa Rosa Festival on the 30th of August each year or as part of an organised tour into the Cordillera de los Frailes mountain range. However, about 10km east of Yotala is the restored hacienda or colonial mansion Pitantorilla that was once inhabited by José Mariano Serrano, a Bolivian-born statesman and President of the Assembly declaring Bolivia’s independence in 1825. Few tourists ever make it this far from Yotala and for good reason: your main options are to walk from the town and follow the dusty road that winds down to Pitantorilla. But the trek is worth it; the house itself is a pretty and surprisingly elegant colonial dwelling, with a gorgeous tree-lined, grassy courtyard at the front, surrounded by private vineyards and a small play area out the back (I think it is most often used as accommodation for school trips). It’s also a bright pink/orange colour and I think deserves to be on the list of adventurous things to do in Sucre. Pitantorilla is theoretically open for visitors as a B&B with a number of private rooms, toilet facilities and even breakfast included. From Pitantorilla, you can take the road into the mountains leading down to a river where, when followed upstream, brings you out at a series of beautiful, natural water pools which are ideal for bathing and have stunning views over the valley. Pitantorilla is at the foot of Obispo, a 3,352 m mountain that can be climbed from Pitantorilla, although my friends attempted it themselves without a guide and were unable to reach the summit as, like most hiking in Bolivia, there was no clear path to follow. It is possible with tour agencies in Sucre: here is some more information about climbing Obispo Mountain from someone who did just that. How to get to Pitantorilla near Yotala: Take a trufi to Yotala or a taxi (if there are a number of you this shouldn’t cost more than 20-30bs and is a far quicker option). Download Maps.me or screenshot the page of google that indicates the road that leads to Pitantorilla. Hiking Length: From Yotala, we walked around two hours and found a spot around halfway along the road to camp overnight. The next morning, we hitched a ride with a truck to get to Pintatorilla. According to Google Maps, the road is around 10km. Food and water for your trip. There are some shops in Yotala. A tent in case you are unable to stay at the mansion. 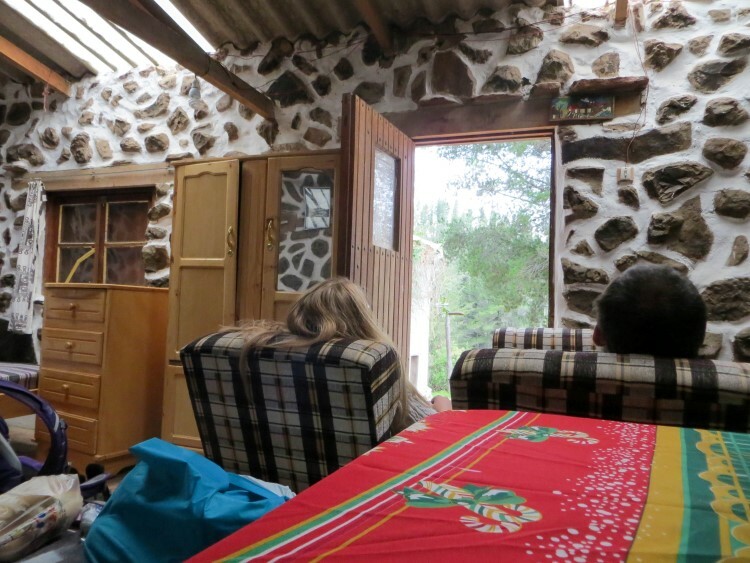 Difficulty: The best way to attempt to make a booking or to find out if it’s possible to stay at the Casa de hacienda de Pitantorilla is to ask around with some tour agencies in Sucre, even if you’re planning on going it alone. Like most things in Bolivia, information is only available by speaking to the correct person and this might the best way of getting hold of a telephone contact number – although you will need a decent level of Spanish to organise this. Otherwise, just arriving and bringing backup tents, food and cooking facilities is a possibility. To get an idea of how bizarre Pitantorilla is, someone made a video which you can watch here. Around 100km south-east of Sucre is the village of Icla: a tiny settlement nestled into a stunning, lost-in-time valley, where the crystal waters of Río Icla gush through a nearby canyon. The whole area is outstandingly beautiful but notoriously difficult to get to. 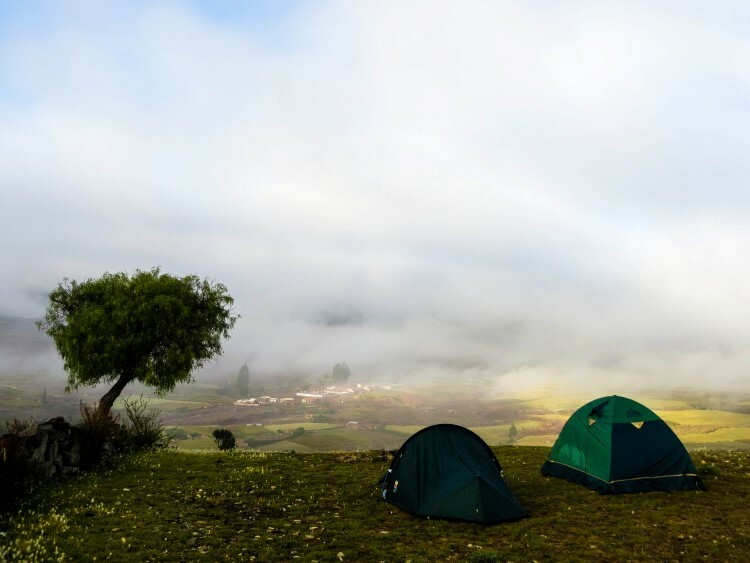 When we visited, we camped the first night on a stretch of land above the valley which had the most incredible views at dawn. From there, we walked down the main road into Icla and spent the afternoon in the canyon, which purportedly leads all the way to Paraguay. For our final night, we pitched up next to the river where there is a flood plain which I imagine wouldn’t be an ideal place to camp during rainy season (December through April). We found a small restaurant for menu del día off the main square and a handful of tiny shops that sell the utter basics. There is also a hostel in the village that I don’t know exactly how it can be booked but again, speaking to any of the tour agencies in Sucre should unearth this information. There is also a guy who supposedly runs tubing and hiking trips from Icla but when we were there, he was in Sucre. We got information about him from Condor Trekkers so they’re probably worth visiting to scope out this information (and taking a trek too – they’re fab). How to get to Icla: We had heard there was no direct bus from Sucre to Icla, so we took a trufi to Tarabuco and then waited on the main road leading south-east to hitch a lift – for most of the day. We were finally picked up about 5pm that afternoon and arrived at the main vantage point overlooking the village of Icla (where there is space for wild camping and some incredible views) as night was falling about 6.30pm. It turns out there is a bus in the morning directly from Sucre. Head over to the main terminal or Avenida des Americas and someone should be able to help you out. There is also a bus that leaves around 4/5am from Ica back to Sucre most mornings (again, check this) which you shouldn’t need to book in advance but you will need to be at the stop near the plaza on time. Hiking Length: All of the walks around Icla are pretty short, although if you’ve got a tent and are feeling adventurous there are many spots for wild camping. Food and water for your trip. There are some shops in Icla and a small restaurant. A tent and camping equipment. Difficulty: Easy, although getting there in the first place is the real challenge. Want more? Get further tips for outdoors things to do in Sucre. Bolivia has a surprising number of places for going climbing and, whatever your level and previous experience, the mountains surrounding Sucre offer a range of walls to try – all with spectacular views. 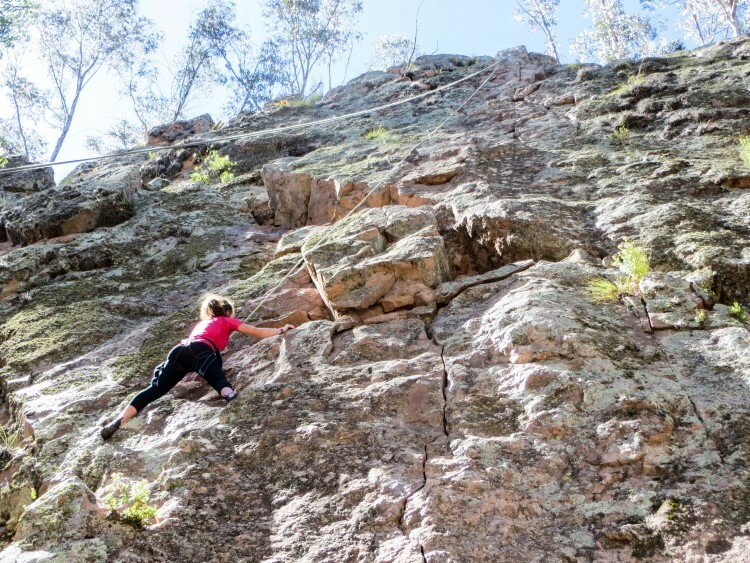 Obviously, unless you’ve got loads of climbing experience under your belt – not to mention ropes and harnesses with you – it’s best to climb with a guide. Luckily, Climb Sucre are very experienced in taking tours out into the mountains and speak excellent English (as far as I’m aware the two guys who run them are both from the US). I went twice and despite remembering my fear of heights at the inopportune moment of reaching the top of the climb, I still had an excellent time and was really impressed by the professionalism of my guide. Be aware that their climbing boots are in US sizes so if you’re from any other country and ask to borrow boots, make sure you convert yours into US sizing). A word of warning: some of the other companies offers climbing tours in Sucre aren’t known for their safety precautions or the quality of their equipment. How to organise climbing tours in Sucre: Contact them via their form on their website (there is also an email address and a telephone number on this page). They can take some time to get back to you, so it’s worth contacting a few weeks in advance. There’s also – or there was – a climbing wall at the back of Condor Café. Pop in and ask whether it’s still operational as when I was there in 2015 there was talk of it being opened to the public. Snacks and water as you’ll normally climbing for a morning or afternoon. Comfortable clothes and hiking boots to get to the wall. Climbing shoes should be provided. Have I missed anything? Did you discover any other barely known gems when you were in Bolivia that should be part of this list of things to do in Sucre? Please let me know as I’m always keen to update content with new adventures.